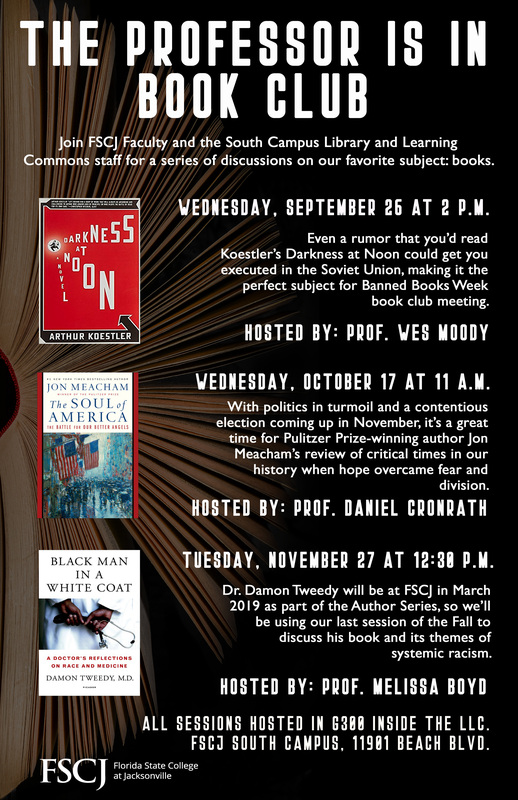 Join FSCJ Faculty and the South Campus Library and Learning Commons staff for a series of discussions on our favorite subject: books. For October, Dr. Daniel Cronrath will be discussing The Soul of America: The Battle for Our Better Angels. With politics in turmoil and a contentious election coming up in November, it's a great time for Pulitzer Prize-winning author Jon Meachem's review of critical times in our history when hope overcame fear and division.